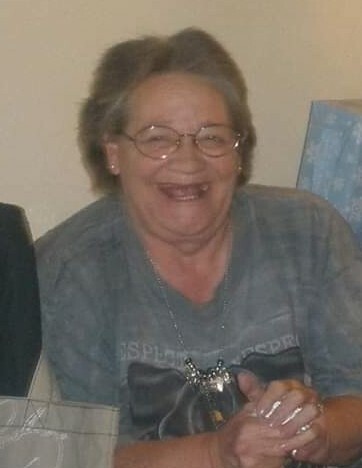 Nora Rita Rae Schultz died on November 14, 2018 in Salt Lake City, Utah. She was borin in Omaha, Nebraska on August 6, 1952 to the late Edward LeRoy Schultz and Elizabeth Claire Dolphins. For many years she worked at A&E Generators. She loved playing cards, video games and reading romance novels. She could often be found watching her re-runs: MASH, I Love Lucy, Perry Mason, Murder She Wrote, etc. She was the worlds best mom, grandma, aunt, great-aunt. She loved with all of her heart. Surviving Nora are her children: Vanessa Register, Jeremy Richards, and Gary Miller; grandchildren: Nicci, Tiler, and Leah; brother, Arthur; nieces and nephews; great-nieces and great-nephews; and great-great-nieces. In addition to her parents, she was preceded in death by her brother, Edward Schultz. A memorial service will be held for Nora at 2:00 P.M., on Saturday, December 1, 2018, at the First Congregational Church, 2150 Foothill Drive, Salt Lake City, UT 84109. Thank you to the staff at St. Joseph's Villa for the care given to Nora during her stay.